A number of providers within the aged care industry are enjoying some much deserved praise and recognition following the announcement of the Meaningful Ageing Australia’s national 2018 Quality in Pastoral and Spiritual Practice Awards overnight. Of the announced finalists, chosen through a strict process of de-identification and judging by an independent panel coming from three states, it was Catholic Healthcare who took out the highest honour. The Community Services spiritual care program recognised by the awards, sees the Pastoral Care Coordinator offer individual support, help clients find purpose and meaning in life, helping to affirm and build their sense of self worth, self esteem and self value. Meaningful Ageing Chief Executive Officer (CEO) Ilsa Hampton commended Catholic Healthcare for the success of their program. “These awards come at a critical time when the Australian community is wondering how well we are caring for their loved ones,” she says. The winning spiritual care program was announced alongside two other programs which were “highly commended”. Both Villa Maria Catholic Homes and Catholic Care of the Aged Port Macquarie received the high commendations as part of the awards announcement. 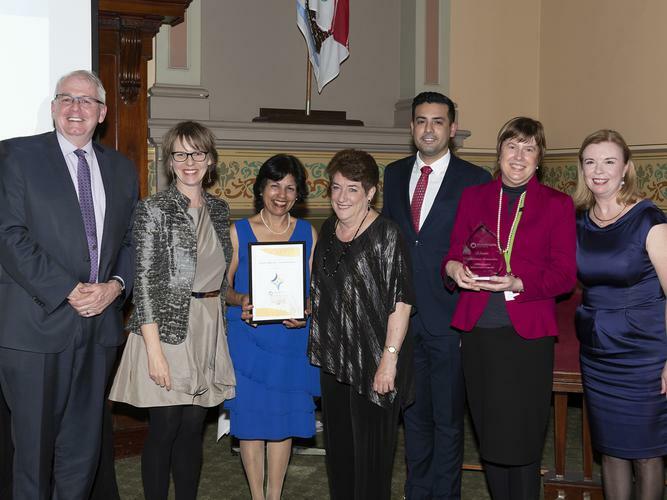 Catholic Healthcare was recognised by Nick Ryan, CEO of Australian Aged Care Quality Agency in a formal presentation and celebration dinner at Melbourne Town Hall. They also received $1,000 towards pastoral and spiritual care in their organisation.